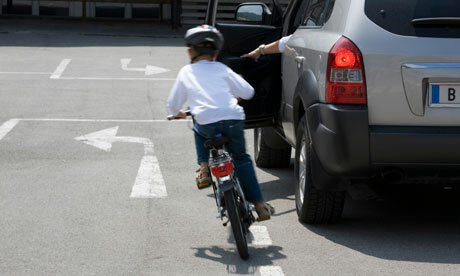 Car “dooring”, or being hit by an open car door, poses significant risks for cyclists, yet many cyclists ride eye-wateringly close to parked cars. I once attended a cycle instructor training course, where one of the first things we learned was to ride “a door and a bit more” away from parked cars, even on narrow roads. To many cyclists this is counterintuitive as moving cars can feel – and act – like the most threatening thing on the roads.